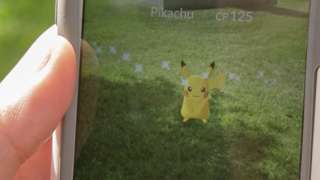 An Australian man has been sacked after complaining that the game Pokemon Go is not available in Singapore. Sonny Truyen's profanity-laden rant on Facebook suggested Singapore was an undesirable place to live due to the unavailability of the smartphone game. Mr Truyen wrote that Singapore was filled with "stupid people" and said the national IQ would fall if he left. He was sacked after Singaporean web users alerted his employer, real estate website 99.co, to the posts. Darius Cheng, chief executive of 99.co, apologised for Mr Truyen's comments in a blog post. "Sonny, as an SEO specialist, has only started consulting for us for a week before the incident happened," Mr Cheng wrote. "We are a proud Singaporean company and do not condone such language or behaviour, hence we have since terminated his engagement once the incident came to light." Large numbers of western expats live in Singapore and Mr Truyen is not the first foreigner to be fired after a social media shaming. In 2014, British banker Anton Casey posted a YouTube video complaining about the "stench" of Singapore's public transport system, which he said was full of "poor people". Mr Casey lost his job and was forced to flee the island nation. Australian executive Amy Cheong was also sacked and fled Singapore in 2012 after posting racist comments on Facebook after she was kept awake by a wedding being held near her home. Authorities in Singapore are known to take strong action against public comments that are considered to breach standards of decency. Mr Truyen told Mashable: "It was disappointing the lengths Singaporeans went at to attack me and deny [me] any chance of making amends for my actions." He has deleted his social media accounts, saying it was a "very big error in judgement to negatively label an entire country over Pokemon."